Over 50% of girls in Ndhiwa drop out of primary school before completion and even fewer progress on to secondary school; families struggle to pay school fees and boys’ education is often prioritised over girls. Team Kenya works in partnership with primary schools in Ndhiwa to create girl-friendly environments and develop teaching practices that help to improve access to quality education for all girls. At the moment, Team Kenya provides girls with scholarships, through our Aspire Scholarships programme to allow them to progress on to secondary school and further education, which is beyond the financial reach of their families. Over the last two years we have begun shifting our focus from providing scholarships, which is not a particularly sustainable way of supporting girls to stay in school, to providing long-term sustainable solutions that empower mothers and young people themselves to increase their income, so that they can access education without support from external organisations like us! 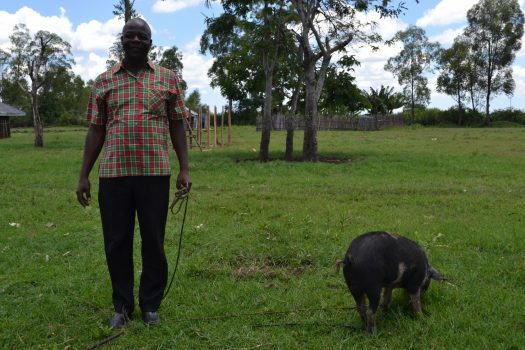 Three of our partner schools have developed their own small farms with our support. Income generated from the farms allows them to purchase uniforms, sanitary pads, books, pens and school bags for girls that need them. This also enables them to make classroom improvements and purchase books, desks, chairs and blackboards. 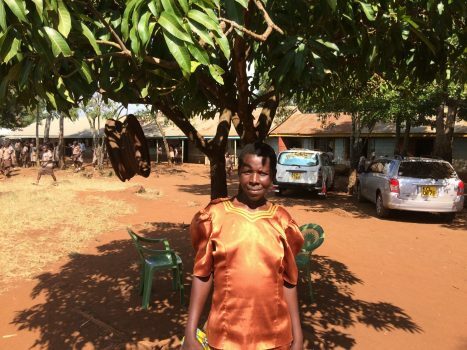 Kodougo primary school now generates an annual income of over £1,000 per year! Over 63% of the population in Ndhiwa live in extreme poverty, despite the majority of people having access to arable farm land. We have recently developed an agricultural demonstration site at our sustainable eco cottages in Ndhiwa. 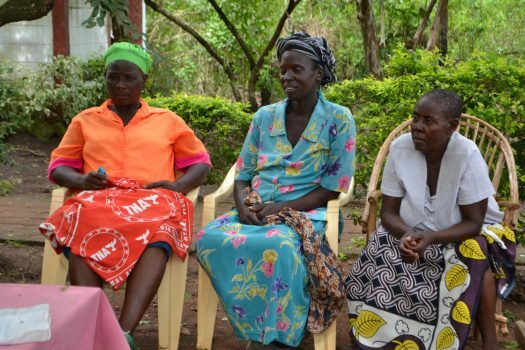 Here we deliver training to women that increases their access to food, grows their families incomes and improves access to primary and secondary school education for the girls in their family. Working with the local agricultural officers we have designed an environmentally friendly farm that promotes the growth of sustainable crops that produce high yields and income in the region. We are now providing training in growing; groundnuts, butternut squash, cassava, onions, kale, cabbage, beans, bananas and fruit trees. 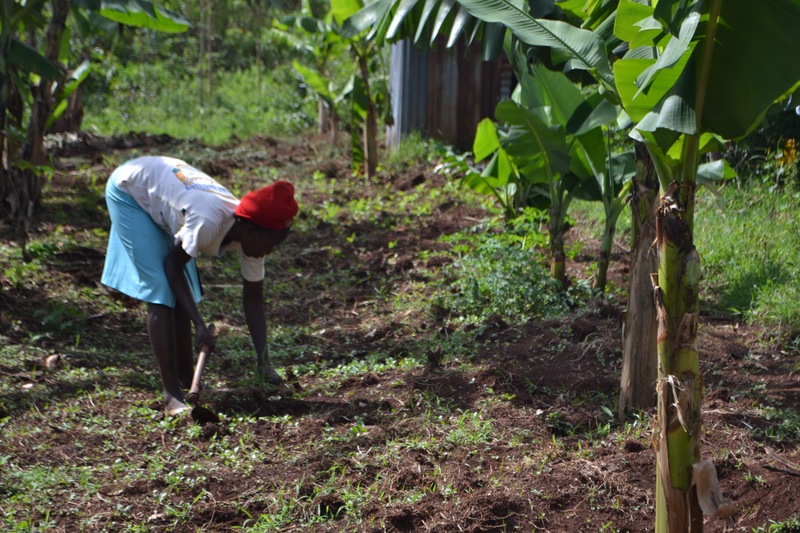 We have provided agricultural training to over 250 mothers to date, and every daughter of our trainees last year was able to attend secondary school for the first time this year – we think that is pretty amazing! Mary is just one of the women who has benefitted from our training, supporting her to increase her household income from £5 per month to over £33 a month from her farm. This additional income allowed her to invest in a new business venture which generates an additional £30 per day, taking her monthly income up to £300 a month! 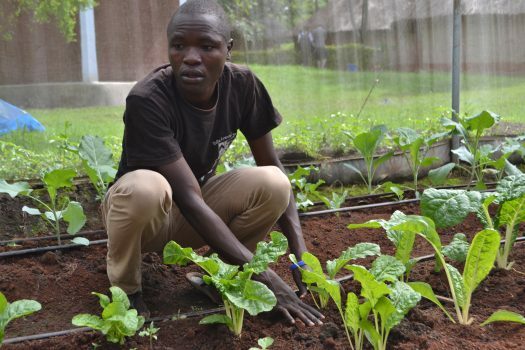 We have provided 10 high school graduates with access to two acres of land and start-up costs to plant maize, cassava, beans, Moringa and a selection of fruit trees on the land. The group will maintain and manage the site themselves and split the income evenly between group members. Income generated by the farm will help to further their own education and allow them to support their younger siblings through secondary school. After 3 years we expect this group to have generated sufficient income to invest in their own education or business, and we will allow a new group of 10 graduates to access the land. 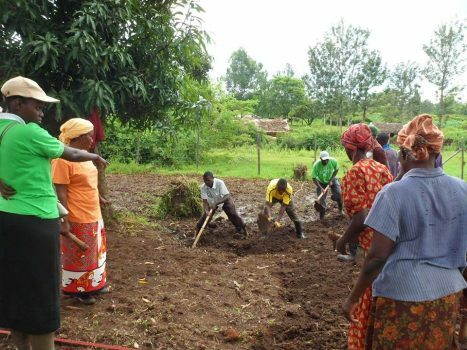 We recently provided a small plot of land and start-up costs to allow one of our table banking women’s groups to plant maize and a selection of fruit trees. The women will maintain the site themselves and split income evenly among group members to support their daughters’ educations. We have provided 16 women in Ndhiwa with bee hives, training in bee keeping, and flowers to plant on their land that will attract bees to their hives and encourage the production of honey. We also have 6 of our own hives on our demonstration site at Karibuni Eco Cottages so that we can deliver training to the wider public. Our bee expert collects honey from each of the women and sells the produce collectively at the local market to ensure that the best possible price is secured. Income is then split evenly between our bee keepers to help enhance their family’s quality of life. We also sell honey from our own bee hives to help meet the cost of delivering training and providing hives to more women in the community!